Hi friends! Welcome to our blog, a place where we share our favorites from weddings days, tips and a glimpse into our everyday life. So glad you're here! Meg and Tim’s wedding this past Summer at the Edgewater Hotel in Seattle was a dream day, with a dream group of vendors! Planned alongside Tim and Meg, Eventful Moments created an incredible day! Meg and Tim are the kind of people photographer’s always hope of working with. 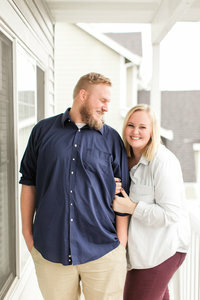 They were so kind and thoughtful and truly joyful through the process of planning their wedding, and come wedding day, we felt so much joy and love from them! Their families are hilarious, and Meg and her Dad planned the most creative, choreographed first dance! The Edgewater in Seattle is such a beautiful venue, really showcasing the city and the waterfront! Meg and Tim planned for a total blast of a party bus for their bridal party, so that we could venture up to Kerry Park for some of the most picturesque photos! I’ve wanted to take a bride and groom to Kerry Park on the actual wedding day for what has felt like forever, so this was AWESOME! Steven and I say often how we feel like we hit the jackpot with the best couples, and Meg and Tim are no exception to that! Their wedding day at the Edgewater was so much fun! Meg and Tim, you two are total gems and together make a truly perfect couple! We’re so excited to share this amazing day on the blog! We love working with our friends at First and Foremost Productions. Definitely check out Meg and Tim’s highlight video from First and Foremost here. Hi friends! Welcome to our blog, a place where we share our favorites from weddings days, tips and a glimpse into our everyday life.